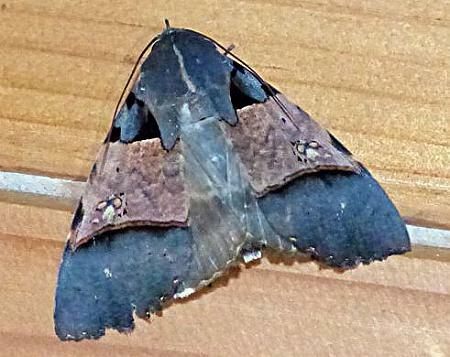 The adult moths of this species are light and dark blue-grey, often with a broad pale band across the middle of each forewing. The hindwings each have a pale basal half and a marginal darker half. The blue tinge fades to brown in museum specimens. 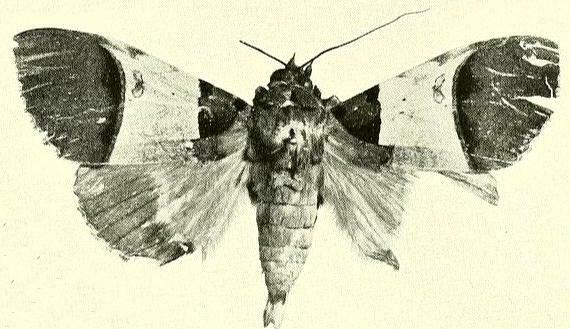 The moths have a wingspan of about 7 cms. The moths feed on nectar and also the juice of damaged ripe fruit. Volume 1 (1924), p. 447, No. 22, and also Plate 15, fig. 2.